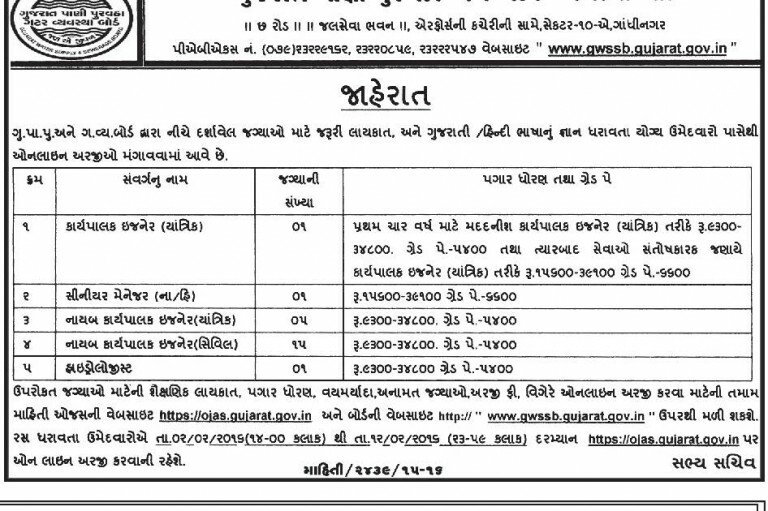 GWSSB Recruitment 2016 – Apply Online OJAS.GUJARAT.GOV.IN Gujarat Water Supply and Sewerage Board (GWSSB), Gandhinagar has announced notification for the recruitment of 23 various posts vacancies. Eligible candidates apply online form 02-02-2016 to 12-02-2016. Other details regarding age limit, educational qualification, application fee and how to apply are mentioned below.